When you think of a man cave, what comes to mind? Aggressive deer heads slapped above the mantel? Unsightly sports paraphernalia scattered across the walls? Bulky suede couches taking up half the room? While these style-deprived clichés are all too familiar, they certainly aren’t necessary for achieving that quintessential look. 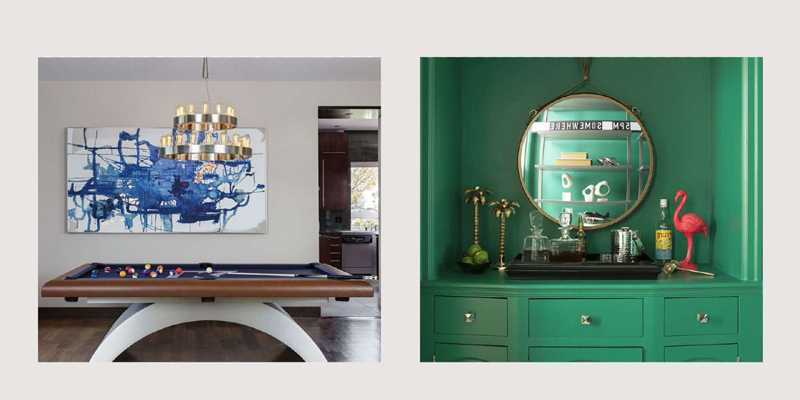 With the general conventions of a man cave in mind, there are plenty of ways to make your home-base hideaway both traditionally cool and full of style. 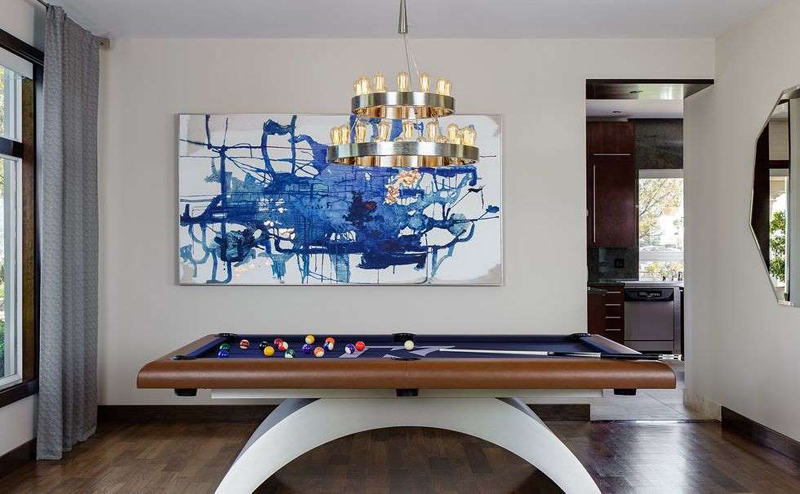 In Colin Kaepernick's sophisticated California bachelor pad, a former dining room was transformed into a sleek man cave anchored by a gorgeous custom pool table. 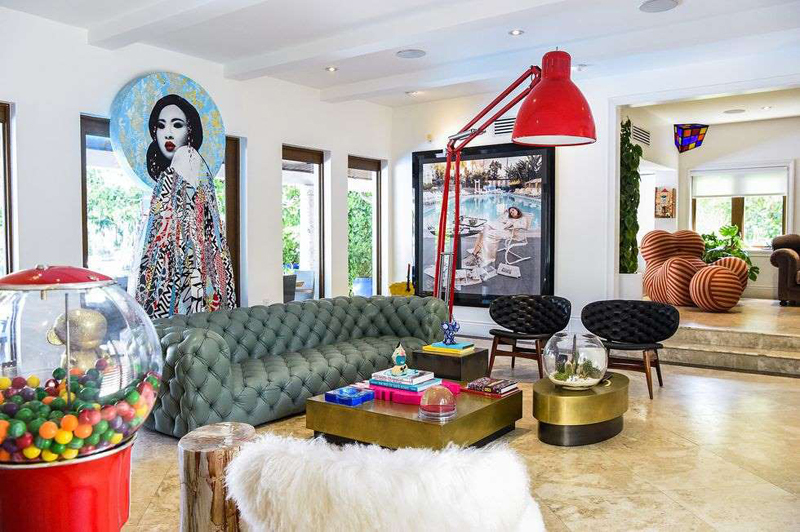 This eclectic and playful seating area begs you to have fun; an oversized Hush sculpture sits behind the teal quilted couch, while a massive red Baxter lamp hangs above. The old-school gumball machine reinforces the room's youthful vibe. A man cave's lounge area boasts a sultry and sophisticated masculine design. 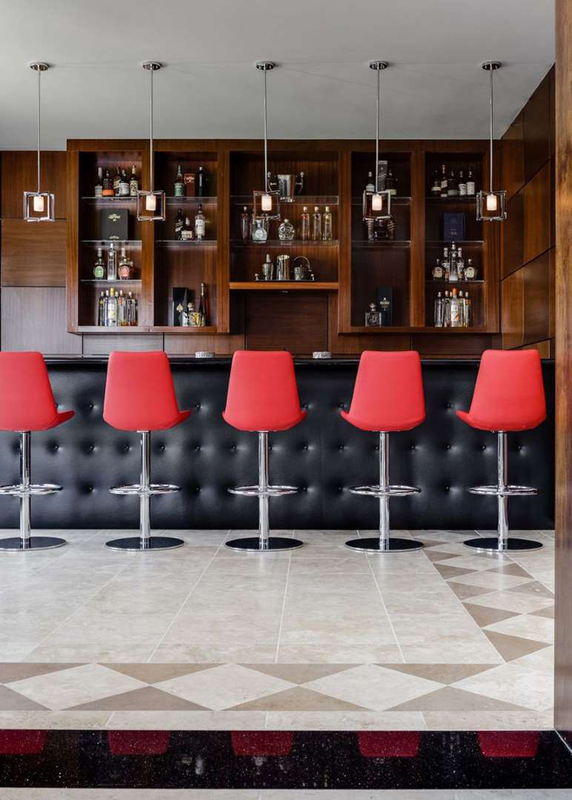 The black leather tufted bar provides a contrasting backdrop to the bright red bar stools, and the spirits are displayed on deep wood-clad shelves. If you don't have space for a full man cave bar, adding a built-in alternative can be just as effective. 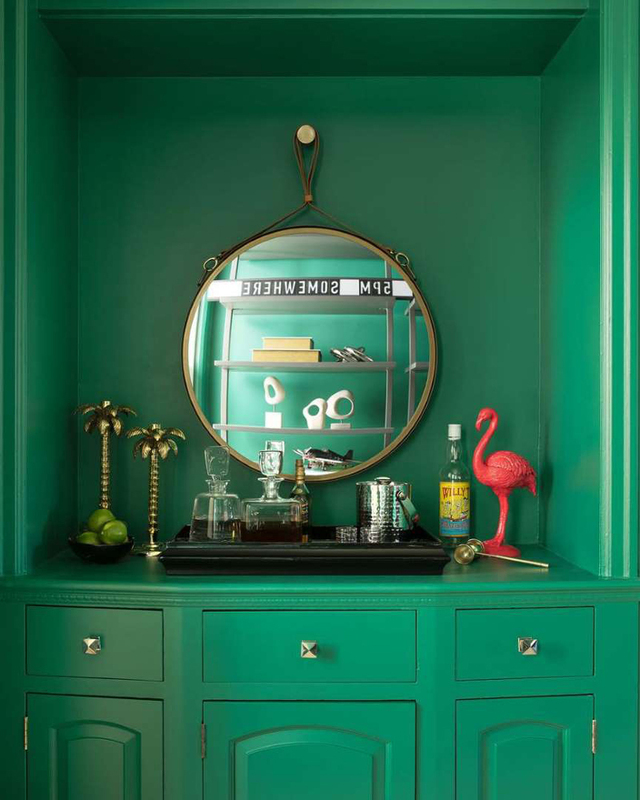 In this vibrant San Francisco bachelor pad, a bar painted in "Very Green" by Benjamin Moore is accented with a funky fish eye mirror, and topped with classic liquor decanters to mature the youthful space. This man cave is equipped with the amenities of the movies and all from the comforts of home. With Slurpees on tap and a professional-grade popcorn maker, game day and movie nights become even more fun. A clean-lined, monochrome media room has seating for the whole crew. An assortment of elevated TV dinner-style tables are perfect for enjoying food and drinks from the comforts of the couch. Midcentury chairs in Romo velvet frame a seating area, where a custom glass-and-bronze bar cabinet holds a variety of artisan liquors. 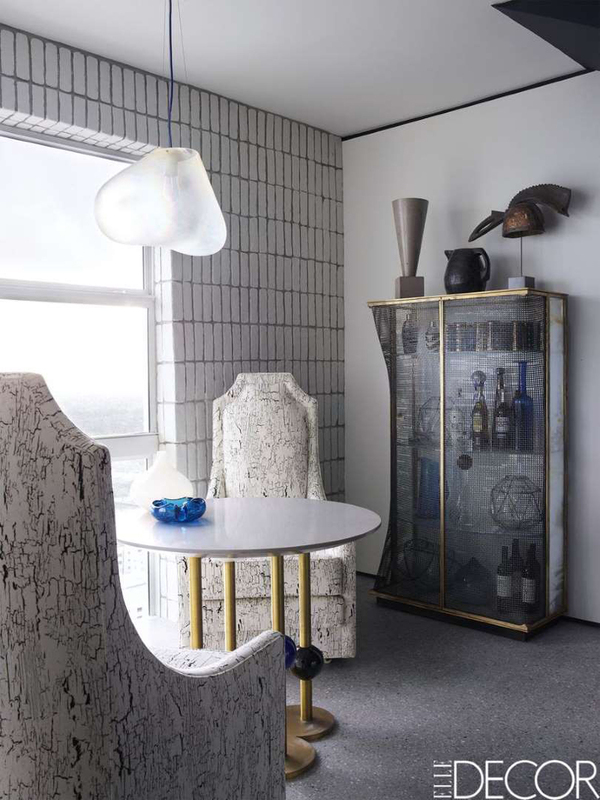 The bar is topped with a 19th-century Nigerian helmet. The descent to your man cave can be just as exciting as the space itself. 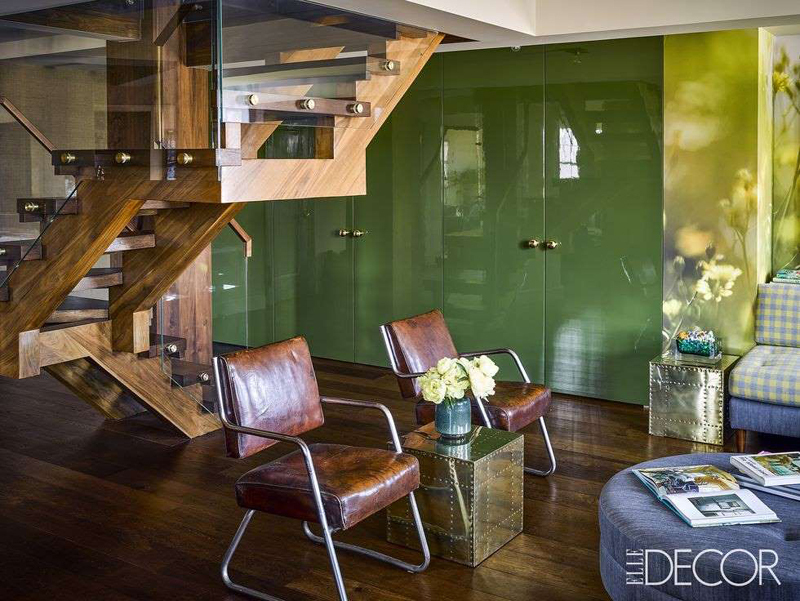 Here, a custom glass, walnut, and steel staircase lead to a verdant and lacquered hang out area, with vintage French club chairs from Blackman Cruz. Keep the energy of your man cave high by grounding the room in a fun game. 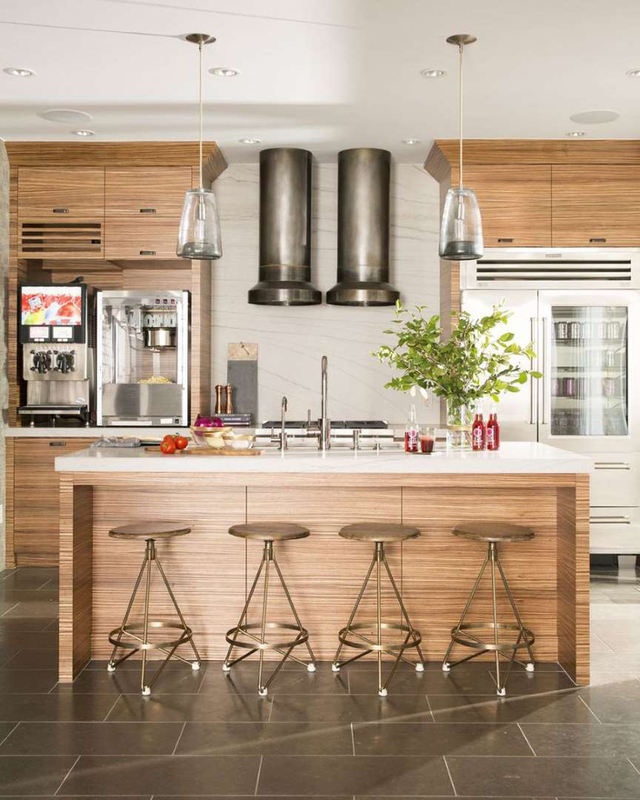 A ping pong table not only encourages guests to get up on their feet, it also adds a sporty element without overwhelming the space with paraphernalia. While most gravitate towards wood and leather when crafting a traditional man cave, branching out can lead to an equally alluring area. 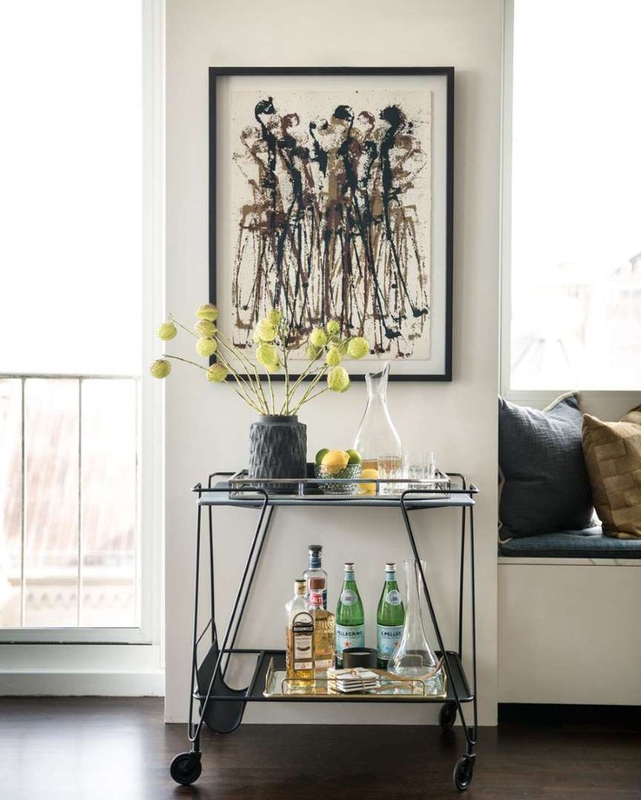 In a mid-century modern bachelor pad, contemporary finishes are layered with more eccentric accents, and a rolling metal bar cart allows for transportable serving.